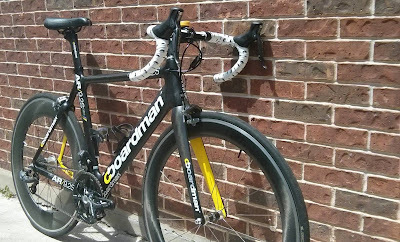 When the Boardman line came to ATC in April, we posted the review Boardman Bikes: A British Powerhouse Arrives in Texas. My husband, Jack Mott, was its author and guinea pig, field testing the AiR 9.2S at the Veloway side by side against his Cervelo S5. Pregnant at the time, I hadn’t gotten a chance to ride the Boardman bike, but I knew that the frames had become popular over the summer. When ATC said they wanted to put me on an AiR 9.2S, I jumped at the opportunity. Boardman Bikes may be new to the States, but the company has plenty of street cred. 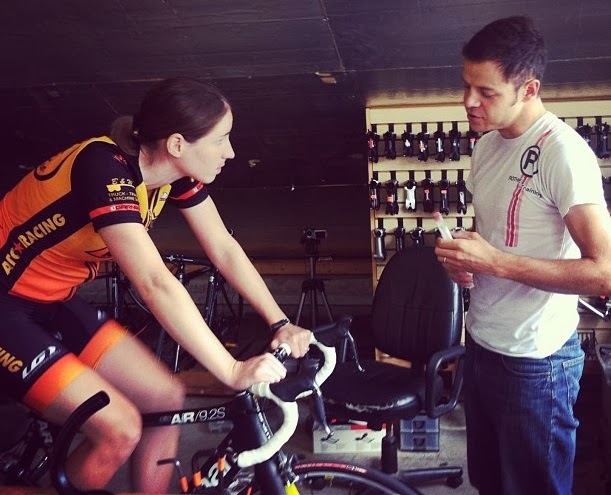 Named for cycling legend Chris Boardman, who is also director of the company’s R&D department, Boardman Bikes sponsors a host of uber-talented athletes. The Brownlee brothers, British ITU triathletes, took Olympic gold and bronze on the AiR 9.8S. The shape and weight of Boardman’s AiR frames are the same, with models differing in price and paint job according to their gruppo. The AiR 9.2S, the median option with Ultegra Di2, has personality. Matte black with yellow and white accents, she’s a mean girl. Internal electric cable routing and a carbon fiber frame make her sleek and light, and from fork to seat post, she’s wind-tunnel tested and aero. The brand lettering on the flat, airfoil down tube is prominent without being cartoonish. My favorite subtle detail: the inside of the fork and seat stays are a bright, solid yellow, a design element that seems mildly racy, as if the AiR 9.2S is sporting red garters beneath an otherwise staid business suit. Online specs say that she comes in at 17.1 pounds with training wheels. I fell in love on the first ride. In early August, I was in a slump. My return to bike racing post-baby had gotten off to a discouraging start. Progress was slow, and then a little over a month into training, I’d had a crash that took me off the bike for two weeks. I felt like a much larger and slower shadow of the bike racer I had been before my son was born, and I feared I’d never make a full comeback. The Boardman bike was a good kick in the pants. I’m no Alistair Brownlee, but I’m a decent Cat 1. The bike rekindled the competitive spirit in my heart and legs, despite their diminished state. From that first ride on, I felt like I was back on track; I would be fast again...or no, even faster. Typically, I don’t like change. I tend to hold on to my equipment until it’s dead or dying, but the day I got fit on the Boardman, the new pair of Giro road shoes I’d ordered had come in. 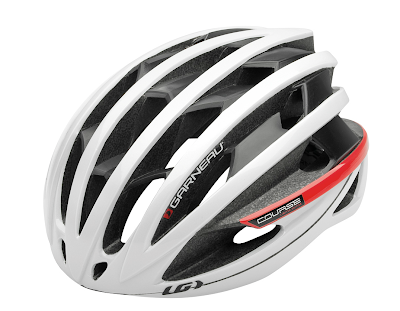 I’d also recently replaced the helmet that had cracked in the crash with a shiny new LG Course. I thought of something I’d seen in an IKEA catalogue—a prescription that “even new towels make a big difference.” Maybe I’d started with that idea, but in the end, I’d gutted the whole house. My nervousness about the top-to-bottom makeover was eased by the fact that I was getting a professional fit. Stefan Rothe of Rothe Training fit me on the Boardman, checking my saddle setback, seat height, reach, and drop to the bars. New bike or no, I knew it was something I needed. Jack and I had changed the setup of my old bike so many times since my last fit that nothing felt quite right anymore, though I couldn’t say which individual thing or combination of things needed to be fixed. With the new fit on the Boardman, I felt less constricted, and I could shift and brake more easily in the drops. We made some other modifications to match my old setup. I’ve always ridden 170mm cranks, so we put on the FSA SL-K Light compact crankset, and we swapped out the bars for a narrower size. The AiR 9.2S is shipped with very nice training wheels and race tires—the Mavic Ksyrium wheelset with Vittoria Open Corsa CX tires. 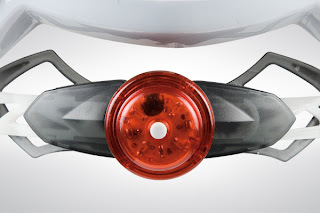 The saddle, the Fizik Arione Titanium is good, too, but I’ve used the Selle Italia Lady Gel Flow since the start of my pregnancy with zero problems, and I’m not ready to give up my security blanket just yet. Even if it does make weight-conscious roadies cringe. 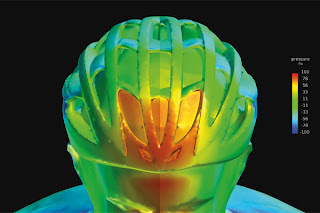 I think of all the reasons to get a fit—saddle sores, back pain, knee pain, comfort, better efficiency—perhaps the most important is peace of mind. The new setup felt good immediately, and, confident in Stefan’s expertise, I knew I wouldn’t want to touch a thing for a long time. On the inaugural ride back home from ATC, I felt like I’d been given new legs. The Boardman seemed bigger (I think we’d raised the saddle height), yet at the same time noticeably lighter, almost delicate. My new carbon fiber glass slipper. Apart from the raised saddle, the biggest difference was the Di2. I’d never had electronic shifting before, nor ever imagined I would want it. I preferred having the control, feeling the gears click into place...or so I’d thought. The Di2 was amazing. Click a button and with a soft mechanical rasp it shifts smoothly every time. Several people had told me that with Di2 you could change gears no matter how hard you are pedaling, and while I haven’t found that to be true, I like the fact that I don’t have to worry about dropping my chain. Even glass slippers don’t fit perfectly right away, though. Roughly a month later, I’m still getting used to the Boardman. Jack loves the science behind the bike, the yaw angles and training graphs and various components. I can appreciate the technical side of things, but for me, a large part of the attraction is a kind of physical escapism. Most days, I just like to feel my legs going around in circles, the harder the better. The newness of the Boardman is nice in its own way, making each training ride exciting, but I also like it when my bike feels like a second skin, when the “old hat” is old enough that I forget I’m wearing it. I think that’s beginning to happen; the Boardman and I are developing a relationship of trust, one where we can go around a corner together at something approaching top speed...though I have a sneaking suspicion she still thinks me unworthy. Chappell Hill is the first road race I did when I started “bike racing” in 2010. It was a pretty brutal first race. I was a Cat 4…which means we started at noon in 100 degree heat for 38 miles. I led the race until I got dropped, and bonked, and overheated, and crawled across the finish line solo. I have learned quite a bit since then and have a team to race with now. 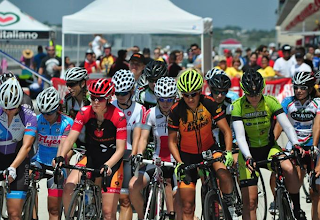 This year’s women’s race was the first time that the women (cat 1,2,3) had a start time of our own; often the women’s race is combined with a men’s masters race. Thank you race directors! We had four (strong!) ATC women racing together for the first time in months. The goal for our team was to have an ATC person in any break that happened. Which meant…chase down anything that goes off the front. Marla and I took most of the attacks in the first half, saving Allison and Kat, since our best chance of a podium finish was with Allison and Kat. The race also contained Jen McRae (pro), Mandy (just moved up to cat 1), and another full team (Jubilee) of five riders. Pretty solid line up…only 18 started, but they were all good. So the whole group stayed together through the finish. We had some unfortunate timing when the women’s race had to be neutralized while the men’s 40+ group passed with three miles to go. I doubt it would have changed any results, but I would have felt better about the finishing miles if we hadn’t had to deal with that. And the fact that I messed up the mileage. The race flyer said 50 miles, so that is what I programmed in my head. I knew they had moved the finish line up a mile, but I did not account for that in the final mileage of the race. Just as I am planning my one last effort (no chance of getting away, but wanted to increase the overall pace of the group), I saw the 200 meter to go sign. UGH! On a good note…Kat was paying attention and got herself near the front (finishing sixth), and Marla was getting herself to the front for her “one mile to go” attack. Unfortunately, I had Allison in the back with me (we were discussing final mile strategy!! ), and when Marla moved up for her attack, she crossed the yellow line, so she was “relegated” to 17th place. So our finishing places round out the second half of the field nicely. Not really indicative of our talent or what went on during the 49 miles. But that is what results show…who gets to the line first. I am proud of our team and how we worked together out there. I like to think we affected how the race was ridden, chased every break, and kept the overall pace pretty high; we weren’t satisfied with “sitting in” and waiting for the sprint. When I told my friends I was going to race my bike in Chappell Hill, they all asked “Chapel Hill, North Carolina”? No, Chappell Hill, TX, which is about two hours east of Austin. I was excited because this was to be the first road race back for my teammate Kat Hunter and the first road race where there would be more than two ATC Racing teammates racing at one time. A real team effort! ATC owner and teammate Missy Ruthven and I drove up to Chappell Hill that morning, leaving at the a$$-crack of dawn. We were both nervous going into the race, as we both come from a triathlon background. 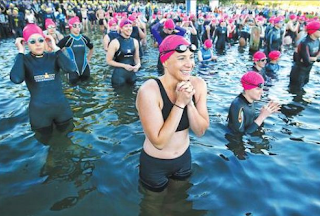 Come race morning, for triathletes, you are mostly concerned with – Will I make it out of the swim in a decent time? Hope I don’t flat on my bike. I hope I don’t cramp on the run. On the morning of a bike race, I am mostly concerned with my personal well-being. In the first lap of the first race this year, I was taken out in a huge pileup of women. I joke that I met my insurance deductible that day so all crashes, henceforth, are free. Most of the women I know in racing have crashed at least once this year. This is a dangerous sport, and I am not a danger-seeking kind of girl. “If you think it is so dangerous, then why not just stick to triathlon,” you ask? I love the team aspect of bike racing. Nothing makes me happier or more proud than to see my teammates do well and know I had some part in helping them. There were 17 girls who lined up, Sunday morning, game faces on. The course consisted of a 13-mile road out, then a 12-mile loop that we would do twice, then 13 miles back into town. The course was not incredibly hilly by Austin standards, but enough so that we would need to be careful to not let anyone get away on the climbs. Our marching orders were simple. Do not let anything get up the road without someone from ATC being in it. At the start, the official explained the rules of the race, no crossing the yellow line till the last 200 meters, no littering, feed zone water hand-ups, and the first two miles are neutral. With no further ado, (no countdown or cheering like in triathlon) we were off. Within the first two miles of the race, still in the neutral zone, I dropped my nutrition. Amateur! The triathlete in me wanted to go back, but the cyclist in me knew if I lost the pack, now, the race would be done for me. Once we got past the neutral zone, the attacks began. I am happy to say that the team did their job of covering and attacking. If someone was up the road, one of our girls was with them. I covered as often as I could and even attacked a couple of times. I’m pretty sure my two solo breaks were viewed as “what does she think she is doing”? I figure you never know when it might stick, so you gotta give it a try. The roads, in some areas, were treacherous. The girls all did a good job of pointing out the gaping fissures. I saw some of the more talented bike handlers bunny-hopping small chasms. I felt like I was in a third-world country. Where is all that gas tax money going? The small peleton made it around the course, no crashes (yay), but all together (boo). Our best chance at a podium position would have been if one of us could have gotten in a break. In the last moments of the race, I started to move forward, planning on trying a leadout for my teammate Kat. Missy and Allison were at the back, planning on following up on my leadout. We were all shocked when we saw the 200 meters to go sign. So much for my leadout. I was not in a bad position, but I’m no sprinter. I just did my best to stay out of the way as the pack surged past me. Kat got 6th place. Great job after just having had a baby three months ago. I would have been next in line around 13th place, but got a penalty. Not for drafting, my silly tri-friends, but for crossing the yellow line. “No crossing the yellow line till the 200-meter mark” does not mean you can cross the yellow line when you see the 200-meter mark. Overall it was a good day. No broken bones and no stitches! I am still learning how to race, but with my super awesome teammates and the other wonderful women who I ride and race with to help me, I think I’ll become more of a cyclist and less of a triathlete yet. LG Course Road Helmet Stealth Aero!